BlackBerry will primarily target smartphones with the momentous expansion of its BBM messaging service for iOS and Android devices. The company announced at its BlackBerry Live conference in Orlando, Florida on Wednesday that the celebrated instant messaging app would be leaving the sanctuary of its own ecosystem for the first time. However, the company told TrustedReviews the focus would be purely on smartphones, while tablets like the iPad, Google Nexus 7 and Samsung Galaxy Note 10.1 will not be supported at this time. The reasoning? 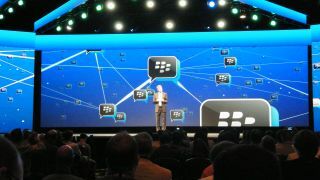 BlackBerry believes smartphones are more suited to BBM due to the on-the-go nature of the app, whereas user behaviour changes when switching to slates and desktop computers. Vivek Bhardwaj, head of the BlackBerry Software Portfolio said: "Smartphone is our real focus and again it comes back to what BBM is. If you look BBM and the engagement and the activity, it's because it is mobile, because people are on the go." "When you start looking at tablets, computers and other screens, the usage model changes and behaviour changes. For us right now the absolute focus is getting BBM onto smartphones." Are you a long-time iOS or Android loyalist who's excited to try BBM for the first time? Or are you already more enamoured with the new Google+ Hangouts app? Let us know below.